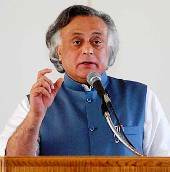 Environment Minister Jairam Ramesh's decision to set up a new authority to regulate all environmental norms has not gone down well with the green lobby and some members of civil society who feel that the concept does not address fundamental concerns. The panelists expressed their views at a national workshop on 'Reforms in Environmental Regulation' organised in New Delhi with an aim to provide a platform to discuss the proposed role of National Environment Protection Authority. While Ramesh felt that the NEPA would have the power to set up standards, grant clearances as well as monitor the compliance of these clearances and other rules, some experts and environmentalists felt otherwise. Chandra Bhushan from Centre for Science and Environment maintained that the proposed authority will have several shortcomings, saying that there was need to define much more clearly the reasons for which it was being set up. "If there is lack of capacity in the existing institutions like Central Pollution Board then that can be built up and we need to see why they have failed in performing their role in checking violation of norms," he added. He pointed that since 1994, the ministry has brought in 14 amendments to the Environment Impact Assessment notification and 21 amendments to the Coastal Regulation Zone Notification of 1991, all of them aimed at providing expeditious clearances to project promoters. Echoing similar sentiments, Kanchi Kohli from Kalpavriksh Environment Action Group, a Delhi-based advocacy organisation, said discussion paper on the NEPA did not dwell on how it would do away the deficiencies in the existing system. "It looks like that NEPA is going to inherit the legacy of a faulty environment decision-making regime which churned out almost dysfunctional CPCB and SPCBs," she said. "The NEPA, as a body only to implement the flawed legislation, will not be any more independent of the ministry than other so-called autonomous bodies set up by it in the past," she said. In a letter to Ramesh, they have pointed that 'even if the NEPA is given statutory powers it will work with an Environment Impact Assessment) notification which allows for rapid (and necessarily faulty) assessments, quick (and necessarily incomplete) appraisals." Supreme Court lawyer Ritwik Dutta was of the opinion that unless flaws in the existing laws were removed no purpose will be served by setting up a new body like NEPA. Most of the NGOs were of the opinion that no space was created for setting new standards, for new civil and criminal liability norms in the NEPA. They also said that creation of the new body was not an answer to the environmental problems. The ministry has recommended two alternative options for the authority. It said the body could have the power to set standards and grant clearances with existing CPCB, limiting its role to ensuring pollution standards and undertaking research projects. The other option was to create a single agency at the central level wherein NEPA will have all regulatory powers. Ramesh said the proposed NEPA would be supported by National Green Tribunal which was recently given a nod by the Parliament with an aim to reduce the burden on the main judicial system and handle all cases of civil liability regarding environmental laws. In view of divergent views at the workshop, Ramesh said that their concerns would be taken on board and there was no need for rushing to set up the NEPA.